Relax in Oregon wine country’s premiere location at our farm, located right at the gateway to Yamhill county, within the near vicinity of 100s of wineries and food destinations. 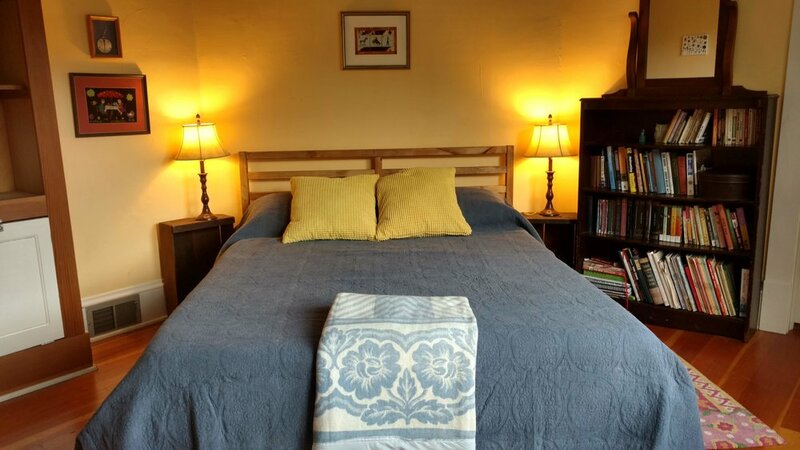 When you book our house, you will have room to relax in our entire 1920 Craftsman home, outfitted with original woodwork and charm and furnished with antiques. Expect to lounge outside around the firepit or hot tub on our large deck and take in the pastoral country views, while still being a short distance from all of wine country’s adventures, 20 miles from downtown Portland and a little more than 1 hour from the beautiful Oregon Coast. You will have our 3000 SF farmhouse to yourself during your stay here, which includes 4 bedrooms and 1.5 bathrooms. During your stay, we may be onsite working on the farm, away visiting or coming and going from our basement apartment (self-contained and separate from our farm stay home). We are glad to greet you, give you a tour, answer any questions and make any recommendations for area “must sees and must dos.” Ready to explore on your own? We’ll be a quick phone call away, but you will have our comfortable and welcoming home all to yourself. If you enjoy cooking, you can do so in our fully outfitted kitchen on our barbeque patio, with a valley view.